Revolt on Antares was a minigame by TSR that came out way back in the early '80s. Not a role playing game, but a war game, it was somewhat popular and is sought by some collectors today. My weekly Nerdarchy.com article takes a look back at it. 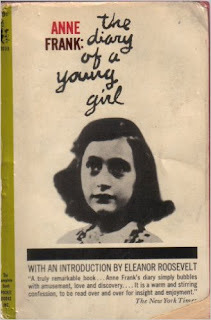 Notes: Over the years I have read excerpts of this book, I have read plenty about this book, and I have seen movies and television programs concerning it, but I have never actually read it. So, now is the time to correct that. Considering what's going on in my own country of late, it seems quite appropriate. Mini review: It's rather sad to read of this young lady and all her inner thoughts, her strengths, her hopes and dreams, all while knowing the end will be coming for her soon. Still, there is an undeniable joy to know she wanted to be a writer and hopefully to write books that people would come to know and love, which seems to be the case. For the historian, there is much here to pick up about the day-to-day life of Jews in hiding in Holland during the Second World War, but there is more than that. This book is also a study of strength in adversity, and as trite as that might seem today what with as skeptical and cynical as we have become, perhaps we could learn a few things here. Today's Nerdarchy article takes a look at the board games which I played the most as a kid and early teen. Here you'll find the usual suspects, such as Monopoly and RISK, but also a Pac-Man board game, Bonkers!, and others. As you might be able to surmise from the title of this post, this week's Nerdarchy article is about dating sites for nerds. Yes, you read that correctly. I wasn't a Lifestyles Editor for 4 years without learning a thing or two about drumming up unusual feature stories. Notes: It might seem here I'm still dealing with Christian apologetics, but I'm not, as this author, though a Christian lecturer and educator and much more, was not necessarily an apologist. No, here I'm more interested in the subject matter from a literary point of view, as I've always found Satan an intriguing literary character, aside from any potential reality of the actual being. 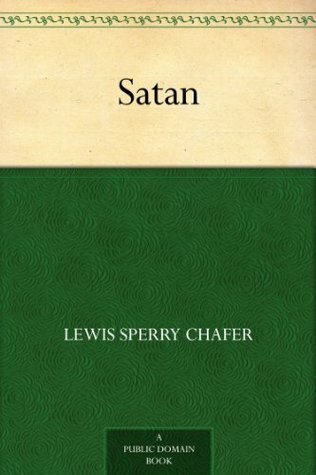 Though this little book from 1909 won't focus upon Satan as a literary figure, it can still provide a viewpoint of the character. 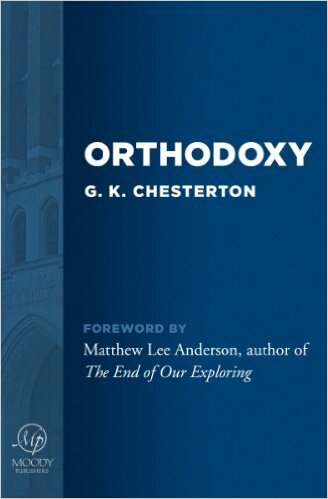 Mini review: Most of this was what is today fairly common protestant beliefs, though it wasn't quite so mainstream when this book was published. Here the focus was upon Satan's mission to try and conquer God while tempting mankind. Again, fairly typical stuff. There were a few interesting tidbits here and there, such as the author's viewpoint of God as an artist, but otherwise most Christian readers won't find much new here. However, I suppose they might find some affirmation here. This week my Nerdarchy article talks about how looking into genres beyond fantasy can make one a better Dungeon Master by giving a better chance of surprising players. Notes: This is an early-modern work of Christian apologetics, one which has influenced such writers ever since, most notably C.S. Lewis. Considering my interests in the topic, I thought it deserved a perusal. Mini review: After all I had read and heard about this book, I was rather disappointed. 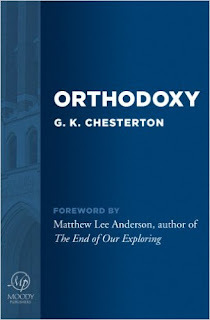 The writing is obscure, full of witticisms that don't ring true to the modern reader, and frankly most of the arguments in favor of Christianity were rather weak, or at best based upon 19th-Century notions of theology and science which have proven outdated. And then there's the author's "Europe is better than everybody else" bias which borders on racism in a few instances. Well, at least I can say I've read it, though I'm puzzled as to how it has had such an influence upon later, far better writers. 57 Barnes & Noble bookstores will be offering gaming nights this month, with the potential of more stores doing so in the future. The games will be of the card and tabletop variety. If interested, check out my article at Nerdarchy.com. Notes: I don't know if it's still the case today, but in the 1980s and '90s the University of Oklahoma Press produced more than a few truly fantastic books having to do with history of the Old West, such as this book. I originally read it about two decades ago, and since it has become a personal favorite. The title tells it as it is, this been a collection of Old West gunfights and gunfighters, from the obscure to the famous. I'm sure a few gunfights slipped through the cracks, gunfights which held no witnesses or which have been forgotten and unrecorded in time, but the author here seems to have gone to extremes to gather as much information as possible. As for why I'm reading this book again now after such a long while, I was looking for it recently and discovered I could not find my copy. So I ordered a new one. Seemed like a good time to me. Mini review: I can't stress enough the importance of this work to anyone with more than a casual interest in the history of the Old West. There are so many characters and true-to-life tales here that Hollywood has barely touched the tip of the iceberg when it comes to potential stories for film. The one downside is that with each gunfighter having his own individual entry, sometimes the reading can become a bit monotonous as you go over the same material more than once, such as with the Younger brothers. Also, I wish there would be a more recent version of this book, as surely there has been more historic research done in the last couple of decades, and this shows in a few places. 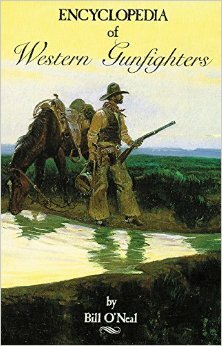 Still, any fan of the Old West should have this book and read it and hold onto it as a fine source of material for writing or study.